There are as many opinions in crypto as many people involved. Some say cryptocurrencies like Bitcoin and others are only suitable as a store of value while some see them only as a medium of exchange. But nothing becomes a store of value just like that !! It takes time, and it takes a long time. But in today’s hyperconnected world you can comfortably assume that 10 years more should be enough for cryptocurrencies like Bitcoin to be considered as a store of value. 10 years is still long for some of us, but the good thing is that some usecases like the medium of exchange, lending, borrowing, refinancing, cash-backs, insurance can be done right now !! And amongst this, crypto lending, i.e., crypto loans, is the most exciting. So lets us first see what they are and how do they work?? What Are Crypto Backed Loans & How Crypto Loans Work? Crypto loans, as its name signifies are the loans that one can take-up against the cryptocurrencies that one holds. In this type of loans, the crypto you own acts like collateral, and you can then borrow money in USD, EUR or a stablecoin in some ration of the value of your collateral. The best thing about crypto loans is that you don’t need a credit history, or a bank account or a FICO score to get your loans. A lot of paperwork and operational work is also discounted in crypto loans. That’s why crypto loans are very easy and almost instantaneous to get. The cryptocurrencies (like BTC, ETH or XRP) that you own needs to be collateralized with as much as personal information that you can provide to a crypto loan platform. Once you do that all these platforms have different LTV ratios set to provide you a loan. So for example, if the LTV is 50 % and you have collateralized 20,000 USD worth of crypto, then you are entitled to borrow up to USD 10,000. Plus for the borrowed $10,000 you need to pay the interest rate that you have agreed with the platform or the lender. For example, if you have agreed for 5% annual interest rate, you will be required to pay $500 annually for borrowing $10,000 against your original collateral of $20,000. Now, let say after six months of your borrowing, the total worth of your cryptocurrencies has increased to $40,000 and this now makes you eligible for more $10,000. This happens because the total value of your line of credit has increased due increase the value of your collateral. But be aware that the vice-versa is also true !! 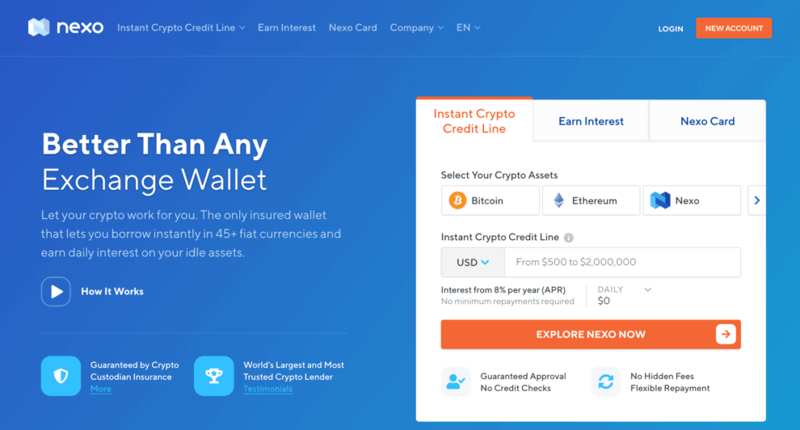 This is also called as, the instant crypto line of credit. 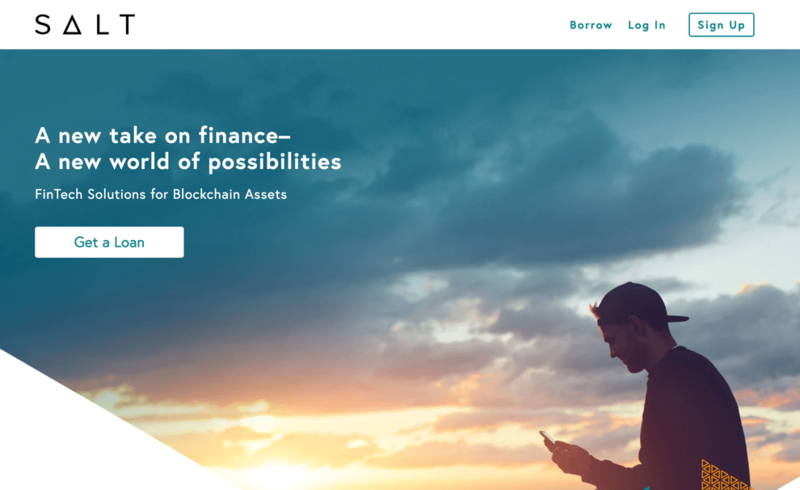 BlockFi is one of the pioneer companies to raise institutional funding for their crypto backed loan start-up. At BlockFi you can borrow from $2000 to $100 million at an LTV up to 50%. The annual rate of interest differs for how much duration one is borrowing, but their lowest starting rate is 4.5 % APR. Nexo is backed by Credissimo, which is a leading European fintech group serving millions of customers over the last 10 years. And now they have stepped into crypto with the world’s first instant crypto loans. CoinLoan is another crypto lending platform that provides cryptocurrency loan to crypto holders. But it is a bit different from the previous two we discussed. 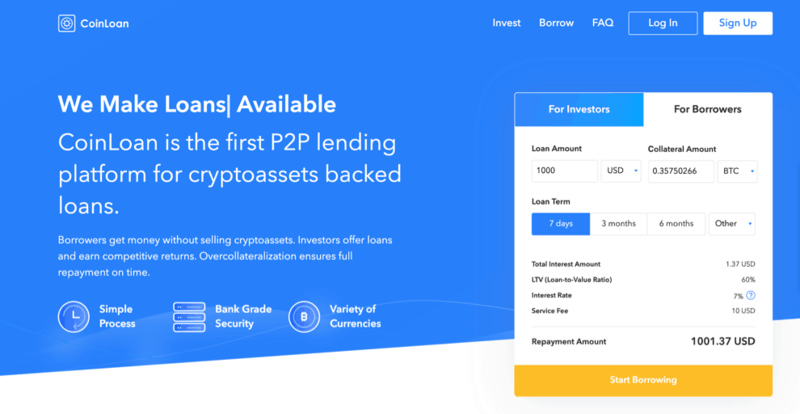 CoinLoan is a P2P lending platform where borrowers get money without selling cryptocurrencies, and investors offer loan to earn competitive returns. The loan APRs start here from 5.99%, and you can get an LTV of 30% to 50% on your crypto loans. Why Would One Want A Crypto Loan When They Have Cryptocurrencies? This was the first question that arose in my mind when I listened about the concept of crypto loans for the first time. Of course, this should be your question too, because it is obvious that people holding crypto can simply sell their crypto to get the money they want instead of taking a loan on it. Upon further digging, I could find out that these people who need loans despite HODLing crypto are those people who need liquidity without selling their cryptocurrencies. They want the extra money to pay for their bills or for another investment without giving up their advantage of holding cryptocurrencies. And the concept of crypto loans makes that possible, and that’s why you will find cryptocurrency lending platforms that I have listed above doing well in the bear market also. So that’s all from me in this introductory guide on crypto loans and crypto lending platforms. Hope to hear from you soon, once you have tried these platforms. Personally, I am trying Nexo and another India based lending platform. I will soon share my experience with you ! !